This post highlights recent activities related to the WTO Government Procurement Agreement (GPA), in particular advancements in negotiations to join the Agreement. Korea Implements Revised GPA: On January 14, the recently revised GPA entered into force for the Republic of Korea, 30 days after it deposited its acceptance of the Protocol amending the GPA. Most GPA parties implemented the revised GPA in 2014; and Armenia did so in 2015. With Korea’s ratification, Switzerland remains the only country that has yet to implement the amended Agreement. Kyrgyz Republic Submits New Offer: On January 19, the Kyrgyz Republic submitted a revised initial offer in its negotiations to accede to the GPA. It tabled its first offer nearly 15 years ago — in 2002. The Kyrgyz Republic is one of the WTO members that agreed when it joined the WTO to seek GPA membership. 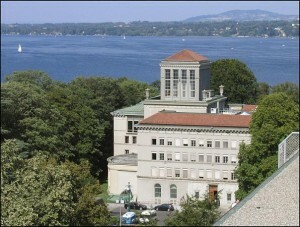 It became a WTO member in 1998 and submitted an application for GPA membership in 1999. Tajikistan Advances Accession with Revised Offer: Tajikistan submitted a revised offer in its GPA accession on February 10, a year after it applied for GPA membership and tabled its initial offer. Tajikistan is another WTO member that promised to seek GPA membership when it was added to the WTO roster. China’s GPA Negotiations Remain Stalled: In the first meeting of the GPA committee in 2016 on February 17, China outlined steps it has taken to lay the groundwork for future progress on its accession to the GPA. The parties again urged China to submit a new revised offer. However, press reports (Washington Trade Daily, Feb. 18, 2016) indicate China maintained its position that it does not have a mandate to go beyond its latest offer, submitted at the end of 2014. Moldova’s Accession Extended: The GPA parties gave Moldova three additional months to complete its GPA accession. They had approved the terms of Moldova’s accession in September 2015, and set a mid-March 2016 deadline for it to submit its instrument of accession. It now has until June 16 to complete its domestic ratification process and make the submission. It will become a GPA party 30 days after it does so. This entry was posted in GPA Accession, GPA General, GPA Updates, WTO Government Procurement Agreement (GPA) and tagged China GPA accession, GPA Accession, GPA committee, Korea, Kyrgyz Republic GPA accession, Moldova GPA accession, Tajikistan GPA accession, WTO GPA by Jean Heilman Grier. Bookmark the permalink.